Diamond heists and Gérard Depardieu’s tax evasion tactics aside, Belgium doesn’t make the front page news often, but the Antwerp fashion scene never fails to be noteworthy. Dries Van Noten is one of the top Belgian designers, and his colorful clothes emphasizing textures and prints are unusual and eclectic. After walking around his store in Antwerp this summer, I felt as if I had just visited an art exhibit. I then spotted a neat row of Frédéric Malle bottles on one of the shelves and learned that Van Noten is a big fan of Editions de Parfums. So here we have Dries Van Noten par Frédéric Malle, part of a new initiative to create a series of olfactory portraits of artists and other creative personalities. Such projects are only as interesting as the people who inspire them, and in this case, we have an exciting collaboration. The perfumer interpreting Van Noten’s portrait is Bruno Jovanovic, and the main theme of the composition is warmth. 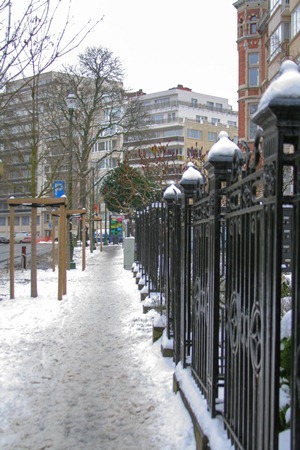 Given Van Noten’s background, the idea was to capture the winter in Flanders. Or rather, the sensation of stepping from the rainy outside into a warm room set for tea time–black tea, speculoos and sugar tarts. Since tea with speculoos is one of my favorite panaceas against the soggy Belgian weather, I was curious to see how Malle and Jovanovic would interpret this concept. The result smells much less sweet and sugary than you’d expect. Dries Van Noten’s perfume is smooth like melted chocolate and rich like whipped cream, but you won’t smell of Belgian waffles topped with cherries, or anything edible for that matter. The fragrance uses Indian sandalwood*, and it smells simply decadent–rosy, creamy, warm and opulent. Add to this a lush jasmine note, and I’m in Rajasthan, rather than Antwerp, but this is a wonderful fantasy in itself. 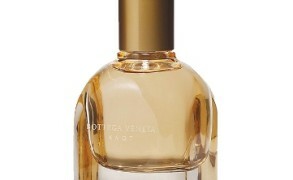 The sweetness of vanilla and toasted almond is balanced out by the citrus and earthy violet notes. The hint of something savory is an accent that shouldn’t work but does. The first impression of Dries Van Noten when I spray it on my skin is a classical oriental a la Guerlain Shalimar, where citrus is used to cool down the rich woods and vanilla. But as I wear it longer, it becomes more floral and musky. The perfume reminds me more of the violet tinged woods of Serge Lutens Bois de Violette than of caramelized sandalwoods like Lutens’s Santal de Mysore or Guerlain Samsara. For all of its richness, Dries Van Noten is a surprisingly low key fragrance. Denyse of Grain de Musc noticed it as well and observed that she has found “its sillage surprisingly introverted despite several spritzes.” It lasts for hours, and for days on fabric, but the projection is minimal. I doubt I will purchase a full bottle once my sample runs out. While I usually don’t mind subtle perfumes, in this case, a bigger aura would have been great. 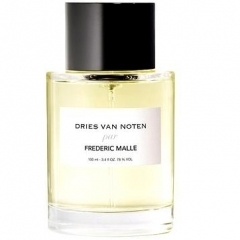 Dries Van Noten par Frédéric Malle includes notes of lemon, sandalwood, jasmine, musks, saffron, and vanilla. It launched on February 15th worldwide and in the US, it will be available starting April. 50ml/$185 and 100ml/$265. *The sandalwood used in Dries Van Noten is santalum album, an Indian variety of sandalwood grown in Australia by a company called TFS, a little tidbit I picked up thanks to the French Society of Perfumers. Austenfan: It sounds absolutely gorgeous, and we do need something to keep us warm and comfortable in this cold and dreary weather. Austenfan: I thought the left one couldn’t have been taken in Brussels. I am not familiar with the park you mention. I occasionally visit Brussels, I love to wander around there. It is such a chaotic, quirky and, in places, beautiful city. 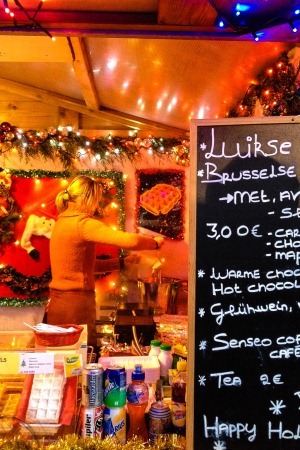 A writer who writes wonderfully about Brussels (and lots of other things) is Eric de Kuyper. He was born and raised in Brussels and later Antwerp. He has lived across Europe ( mainly in Belgium and the Netherlands) and has written a series of autobiographic novels and collections of essays on art and cultural differences in Europe. Victoria: I realized when I started looking for a photo that my only pictures of Antwerp are from the summer, and none of them would fit the mood of this perfume. So, Bruges also being Flemish would have to work. You will see signs in Flemish in Brussels time to time, but mostly in the eastern communes as you get closer to the officially Flemish regions. Victoria: If it only had more projection, it would be perfect. I smell it on my skin when I press the nose to my wrist, but I’m not aware of the fragrance during the course of the day. But it’s a pleasure to smell Indian sandalwood again (especially something that’s sustainably grown and not smuggled out of Mysore). mysterious_scent: Dear Victoria, you got me interested! I love Serge Lutens Bois de Violette and I love rich but low-key fragrances. How low key are we talking here? Only I can smell it if I put my face down my top? Or a bit better? Tatiana: Got a sniff of this on paper from my local Malle rep. I have the card in an envelope and I keep putting my nose to it. I cannot wait to try this on my skin, I love it so much. When the rep described it as gourmand I was afraid of something sugar coated and not for me. She lightly sprayed the card on Saturday and I’m still enjoying the scent today (Monday morning). I cannot wait to try this on my skin, I love it so much. Victoria: I love his use of color, which I found inspiring to try with my own pairings. I think that his fashion also has a sense of fun and joy, which I can’t say about all of the Antwerp designers I’ve encountered. Victoria: It’s from the Australian company that 15 years ago planted its land with sandalwood trees (the seedlings were taken from India). The Indian sandalwood groves have been overharvested in the most unsustainable manner imaginable (basically, the trees were cut down, never replanted; some trees were cut down too young, etc. ), and as a result, it’s in shambles. Surbhi: Restoration is in progress. Hopefully it will be back to old glory. Victoria: My pleasure! 🙂 Nothing really comes to mind right now, apart from the ones I mentioned. It’s heavy on sandalwood, but there are also the earthy violet notes, and this gives the fragrance its interesting theme. It also reminded me at one point of the iris-sandalwood part of Lancome Tresor, although these days it doesn’t exist in the current version. Daisy: Hi, I’m Daisy and I’m a gourmand-aholic 🙂 This new FM is part of my 12-step program, right? 🙂 Can’t wait for this, low-projection or not. Victoria: I just choked on my tea. Az: Hi victoria. Lovely review. I love the idea of sustainable indian sandalwood. 🙂 when i was younger, we had fans made from sandalwood ; now it is just from wood (origin unknown!) perfumed. Victoria: I had (actually still have) one of those little fans, but I suspect that it’s just perfumed wood, not real sandalwood. Still, the idea of fanning yourself with a real sandalwood fan is so appealing. My heart just about skipped a beat at the mention of Bois de Violette and then again at Samsara. I am truly intrigued and must try this fragrance! I will be in SF in April and then in NY in June, will this be available at the usual FM haunts? Victoria: Trish, sorry if I wasn’t clear! I mentioned Samsara and Santal de Mysore as negative comparisons, because FM’s sandalwood smells nothing like those. At least, to my nose. Scent Hive: Oh! Just reread it. You were entirely clear. I think I got so excited after the BdV part that I was reading what I wanted to hear about Samsara, LOL! Victoria: I agree! When I look at some other Antwerp designer clothing, I have vague ideas on how even to put them on. 🙂 From the interviews with him I’ve seen on TV, he does seem very interesting. Victoria: Glad to hear that you don’t have the projection problems, Jenna! Obviously, your skin is better suited for it. BUT, one of the generous samples the SA gave me was En Passant which I was not aware of until yesterday. That is such a beauty! Oh well, I can wait until the next paycheck. Have a great day ahead, Victoria! Edward: Here is an update. I searched on-line… Grain de Musc had noticed a similar effect and noted that sulfurol was the culprit. I say culprit because I find the scent really uncomfortable and very screechy. EL Sensuous has a similar teeth clenching effect. Surbhi: I had not liked this one from Malle for a while. For some reasons I smelled this again this week and asked him to smell it on paper as I thought it will be perfect for him (he doesn’t like silage or anything strong. HE said he likes it. And asked me to try. I am wearing it for 3 days now. I think it depends a lot on how perfumers uses sandalwood and the quality of sandalwood as well. Pure sandalwood oil is so out of reach now that people are using so much synethic and mixins just ruining the name of sandalwood.